Hundreds of outlandish architectural proposals envisioned for cities around the world are rejected every year, but some are notable for their vision, controversial nature or sheer scale. Berlin, for example, would be a very different place if Hitler had won World War II, and massive cities designed by Buckminster Fuller could be floating on the seas just off American shores. 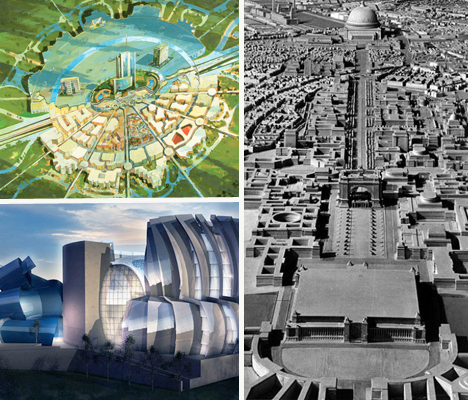 These seven unbuilt urban wonders of the world range from feasible concepts and almost-built developments to utopian pipe dreams. 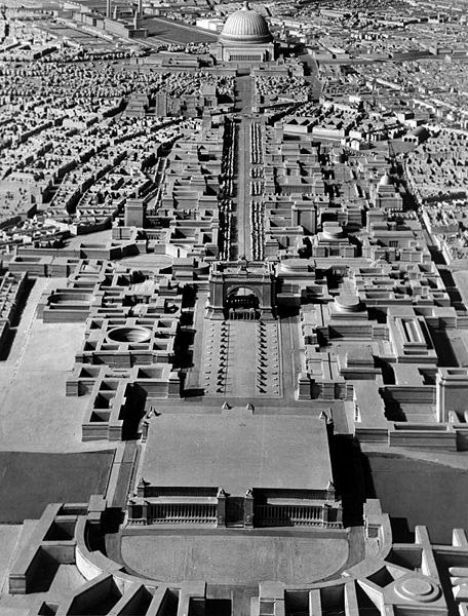 The city would have been reorganized around ‘The Avenue of Splendours,’ a north-south axis serving as a parade ground with traffic diverted into an underground highway. Sections of the tunnels were started but never completed, and remain in place today. Walt made a film showcasing the new city and showed it to a few friends shortly before his death. Walt’s brother Roy was skeptical, however, and shifted the plans to create ‘Disneyland East,’ or Walt Disney World. EPCOT isn’t exactly what Walt imagined, but vestiges of his ideas can be seen in the city of Celebration, Florida, located on the Disney World property. 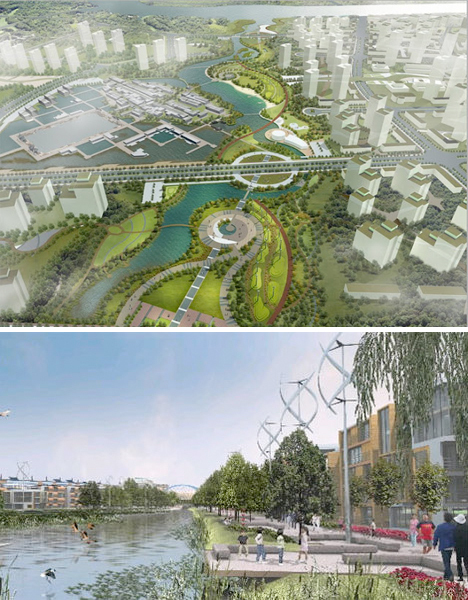 Dongtan was to be an eco-friendly utopia, the worlds first large-scale sustainable city producing 100% of its own energy from wind, solar, bio-fuel and recycled city waste. Public transit was to be powered by clean tech like hydrogen fuel cells, though the city was designed to be walkable and bikeable. Organic farms within the city limits were to produce most of residents’ food. 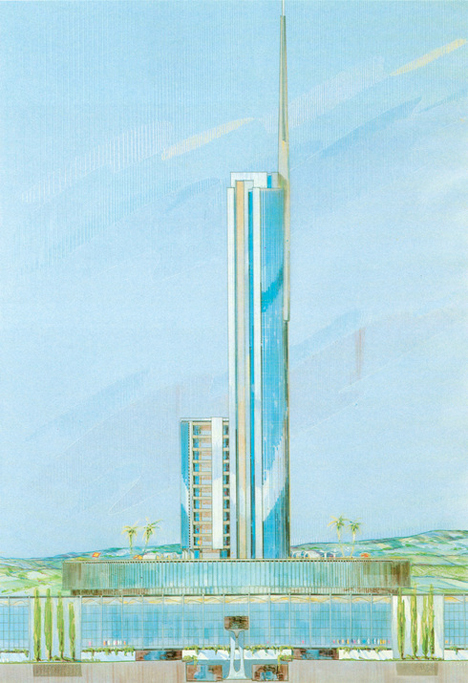 Developers imagined that Dongtan would serve as a shining example for cities across China and the developing world. 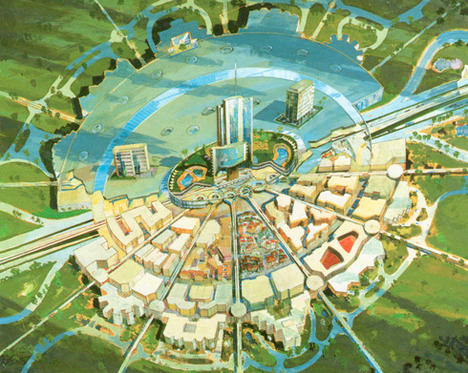 Plans called for the city to be partially constructed by 2010, with accommodations for 10,000 residents, and fully functional for 50,000 by 2020. They began to fall apart in 2006 when Shanghai’s former mayor, the most enthusiastic supporter of the project, was arrested for property-related fraud, and reporters visiting the site found that ground hadn’t even been broken.